Heavy metal band, Skeletonwitch, has announced the dates for its upcoming summer 2019 tour. The band released its newest album, Devouring Radiant Light, in 2018 and are now going on a full length tour in support of the project. The tour will be called the LOUDER THAN LIGHT tour and accompanying Skeletonwitch are the bands Soft Kill and Weigewood. The bands Martyrdöd, Portrayal of Guilt and Devil Master will be joining the tour at select dates. The summer tour will begin on the 1st of May and run through the beginning of June. The tour will include shows across the United States, from Los Angeles to New York City. Skeletonwitch has been releasing music for a little over a decade, in that time creating five full length albums. Prior to their most recent album, the band was most well known for their 2011 track “This Horrifying Force (The Desire To Kill).” Recently, however, Skeletonwitch’s new album has gained them a lot of popularity among metal fans. The track “Fen of Shadows” from Devouring Radiant Light has become one of the group’s most famous songs ever. 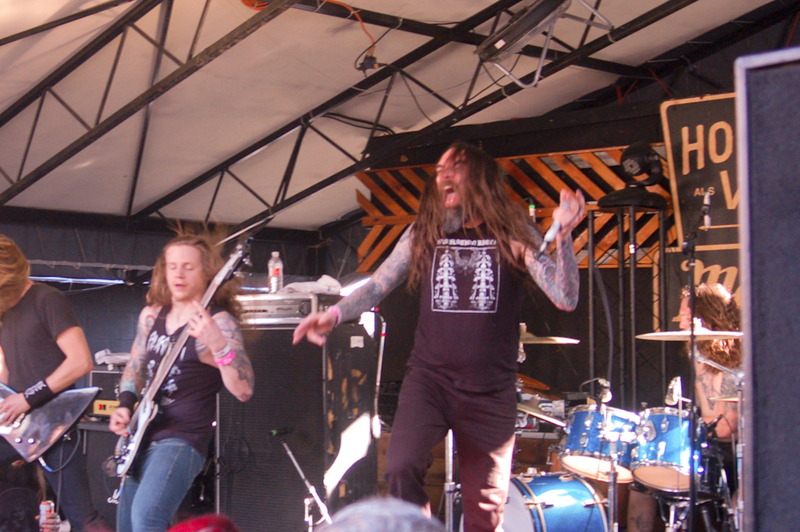 Other popular tracks from the album include the action-packed “When Paradise Fades” and the powerful “Temple of The Sun.” Skeletonwitch is at the highest point of their career so far, and this tour will only serve to strengthen their fan base. The full list of tour dates and the accompanying acts can be found below. All the shows will feature the bands Soft Kill and Weigewood, unless stated otherwise.